Sometimes we have to step out of the box, and look at life from every angle, to find enlightenment. In the old paradigm, scientists have viewed reality through the lens of physics. It has dominated the topic of the universe in Western science. 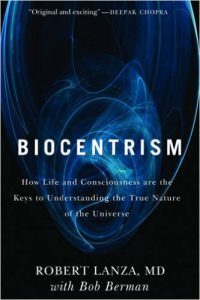 With Biocentrism, Robert Lanza switches the focus to biology. His theory states that life and consciousness are immortal, and time and space is the language of consciousness. Space and time are simply tools. Consciousness uses them to weave information together into a coherent experience. Looked at from the perspective of biology, life is not just an accidental by product of the laws of physics. Instead, consciousness creates physics itself: time and space. Thus the soul, according to Biocentrism, is the constant. It’s consciousness that is always wake, always watching the narrative of time and space. The soul is the observer which, by observing, is creating the universe. Sound familiar? This is a very spiritual concept, yet based on science. The exciting thing about this new way of thinking, which is not that new to spiritual people, is that it’s starting to take hold in the scientific community. Old paradigms are being re-thought, and science is changing to view the universe through the spiritual lens. Time and space is like a coat we wear: take it off, and we still exist underneath. Thus, the coat is like our body: when we shed it through death, the real us that’s left underneath is immortal consciousness. 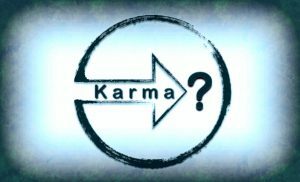 The best way to shed the false concepts that control your mind is to understand the enlightenment of knowing nothing.